Welcome! We are Benedetta Jasmine Guetta and Manuel Kanah. 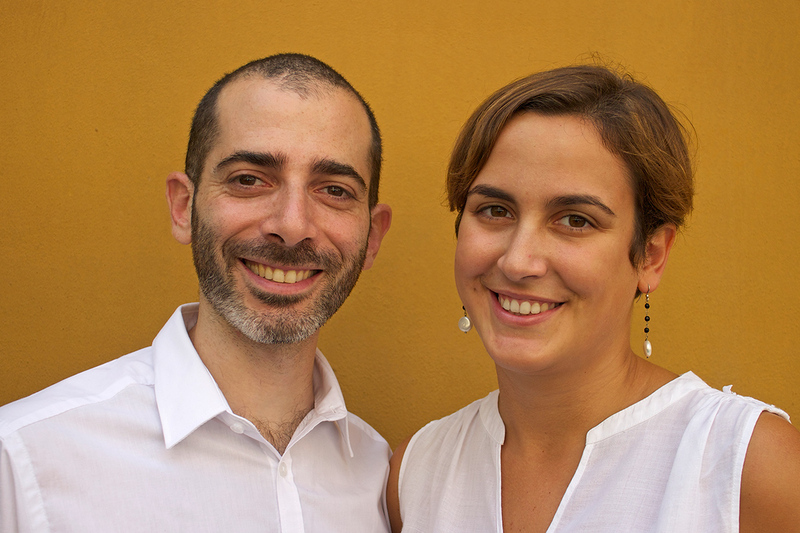 We created this page to introduce ourselves, so you can find out more about Labna and about us, the authors behind the scenes. I graduated in literature, worked in digital marketing for 10 years, and then I made a crazy career switch to focus on the one thing that makes me really happy: cooking. These days, I work as freelance food writer and photographer for magazines and brands alike, in Italy and abroad. As a food writer for both digital and offline publications, I tell stories about food and recipes, the people that cook them, the places they come from, taking the readers on an imaginary culinary journey with me. As a food photographer and stylist, I bring my stories to life through evocative, mouthwatering pictures that are sure to tempt and inspire. My work, especially with reference to Italian Jewish cooking, has been featured on numerous news outlets in Italy and abroad, such as Corriere della Sera, The Washington Post, Cosmopolitan, Elle a Table, Saveurs, Vogue and many others. I enjoy cooking virtually anything, but my absolute favorite recipe is challah bread. My name is Manuel, I was born in ’77 (will let you do the math!) and I live between Milan and London with my wife and two kids, Eithan and Ben. I tried to graduate in architecture, but along the way, I fell in love with IT and now I’m a development manager. Labna is our foodblog and our creative outlet: we opened it together in 2009 [I, Benedetta, like to say this is the longest-lasting relationship I’ve had in my life!] and since then we have shared hundreds of recipes and stories on these pages, writing about all sorts of dishes but most of all about Jewish cuisine. We are Jewish and we love it, so we talk a lot about it. Actually, Labna is the only Jewish/Kosher cooking blog in Italy, so we feel strongly we have a mission and a responsibility here to voice an entire culture. We are endlessly interested in our religion, with its millenary history, so you will often read on Labna posts about our culture, holidays, customs, habits. Our families come respectively from Libya (Jasmine) and Egypt (Manuel) and we are very proud to cherish and preserve not only our traditions, but also and most of all our recipes. However, we also try our very best not to bore you only with our obsession for Jewish food: we share main dishes, salads, soups, desserts too… anything that can serve to answer the fatal question: what should I make for dinner tonight? We try to update the website once a week, so come back regularly to find our latest recipes. Our intro ends here, but before we go, we have a little request for you. – Join our mailing list: we will only bug you once a month, and you can expect really yummy recipes! – Follow us on Facebook and Instagram: social media are great for all sorts of conversations, and you can always find us there to answer any question you might have! – Comment our recipes or email us: we love reading your messages! We do everything “in house”, cooking, shooting and editing pictures, because it’s important for us to own the content we produce and guarantee its quality; please respect our work by always crediting us if you quote our recipes or share our pictures (see our copyright page for further info).